Burrs, unfortunately, are a common occurrence not only just on the grown-ups hands, but kid’s as well. There are many reasons for them, including lack of certain vitamins, but most commonly they occur when kid’s handcare is neglected or when they bite the nails. Biting of the nails deserves a separate post, but from personal experience I can recommend telling your child ( if they already lost their milk teeth ) that if they continue to bite their nails, they can break the tooth and a new one won’t grow in its place. It is a true fact, as I actually know someone to whom this happened at a ‘grand’ age of thirty and required a lengthy and expensive rental work to fix the problem, as the woman in question had no desire to look like a Russian hockey player Alexander Ovechkin. When one of my kids started getting burrs, we first addressed the issue of biting the nails – sadly we can’t control the habits or traits kids pick up from their friends at school or nursery, but we can try to influence the change in the right direction. My second course of action was to start moisturising the hands better, using Childs Farm hand & body lotion that most kids love using & that gets quickly absorbed, without leaving any residue behind. Last, but not least, I was also quite lucky to talk to Amanda Saurin, founder of A.S Apothecary and an incredibly knowledgable plant grower, homeopath, distiller – the list of her skills is endless, but you get the idea .) Amanda kindly made us a cute apothecary pot of the balm for the naughty hands. The smell alone is soothing and calming and it is a good incentive to encourage girls to nurture their nails with it, rather than start using nail polishes from a very young age. 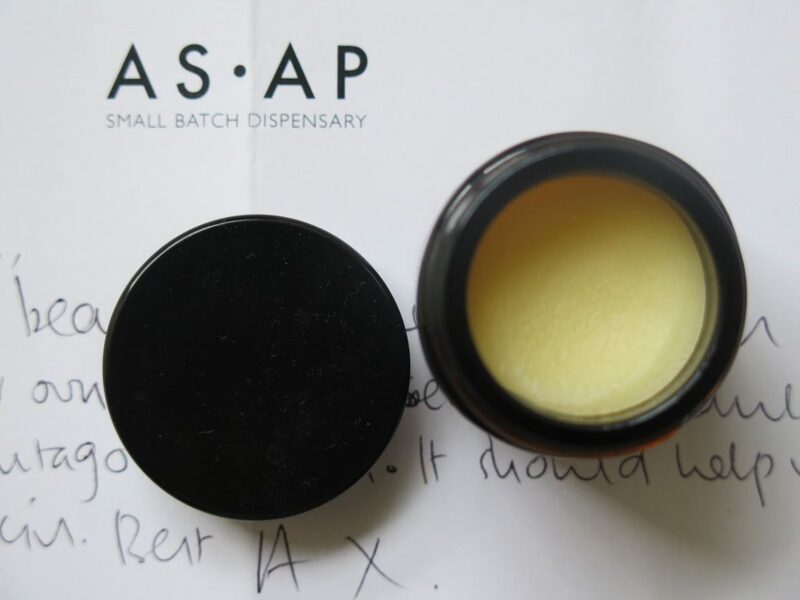 Amanda blended the following ingredients when making the personalised burr balm: shea butter, her own bees-wax from the garden, rosehip, calendula, arnica, plantago, hypericum & stellaria. If we didn’t have the time to apply the balm to the nails and the areas around it, where burrs occurred, in the morning, I made sure we did it with every finger at bedtime ( we also got into the habit of applying it to nails on the toes ). Initially we did it daily, then, as the skin started healing, we switched to every other or every two or three days. This process becomes part of the bedtime routine & creates a lovely habit of looking after one’s hands and nails, making both healthier and softer. When you do it on a regular basis, burrs actually retreat, much to the delight of a child, who thinks that they did good. In addition I would recommend upping your child’s fatty acids intake in their diet, as they will definitely contribute to stronger nails and help improve dry skin. Hemp seed oil is a good supplements but I prefer Bare Biology Super hero fish oil, which kids actually enjoy taking voluntarily, with no prompting on my part. Two months on, there are no burrs and we have a lovely habit of giving each other quick hand and nail massages, pretending to have natural treatments before bedtime. It is a joyful bonding experience, a chance to instill good habits in your child and to make sure your kid’s hands stay infection-free, as burrs can lead to significant inflammation. I say prevention is key and hope you will agree with me.